Piyush Sompura of Panna Craft is the architect who has dreams of recreating the Angkor Wat in India. From a reading of the Indian media, there doesn’t seem to be any discussion about how the Cambodians feel about their project? As expected, the official reaction to the Bihar Mahavir Mandir Trust’s plan to build a replica Angkor Wat in Bihar that was same-same, but bigger was not positive. The Cambodian government has called it “a shameful act”. Stones, temples and stupas: We have it all in this week’s edition of rojak! 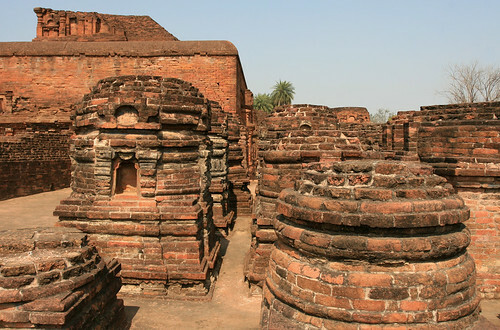 The Archaeological Survey of India is embarking on a project to survey the Nalanda University complex via satellite. Why is this getting some air time on SEAArch? Because there’s an exhibition going on about Buddhism in Asia at Singapore’s Asian Civilisations Museum, with Nalanda as the focal point.